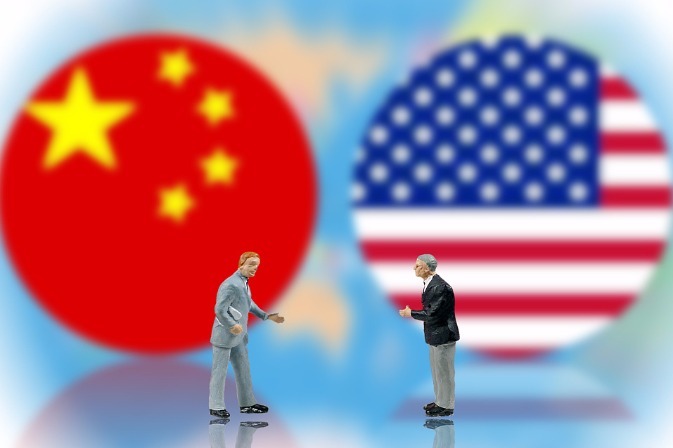 The United States is using the pretext of intellectual property rights (IPR) to intensify the trade conflict with China. But China's measures to better protect IPR should be based on facts that conform to international rules, instead of the US' misinterpretations that tend to violate those rules. China has made great progress in IPR protection since launching its reform and opening-up policy, by consistently bringing IPR legislation in line with relevant international conventions. From the 1980s to the early 1990s, China promulgated a series of laws and regulations, such as the trademark, patent, copyright, and anti-unfair competition laws, to establish a basic legal framework for IPR protection. Around the time it joined the World Trade Organization in 2001, China had overhauled its major IPR laws, and enacted some special regulations on the protection of new plant varieties and semiconductor chips, establishing a legal framework for IPR protection in line with international standards. Even before its accession to the WTO, China had joined several international conventions on IPR protection, such as the Paris Convention for the Protection of Industrial Property, the Berne Convention on the Protection of Literary and Artistic Works, and the Agreement on Trade-Related Aspects of Intellectual Property Rights, to become a staunch defender and active builder of international IPR rules. In a 2009 trade assessment report, the office of the US Trade Representative acknowledged that China's legal framework for IPR protection substantially complied with the WTO agreements. And a former senior World Intellectual Property Organization official said China's performance in IPR protection was remarkable, because it had built its IPR legislative framework in less than 20 years, compared with the hundred or so years the Western countries took to do so. While strengthening the anti-unfair competition law in 2017, China has also revised its patent, copyright and trademark laws several times, apart from implementing a number of internet-related regulations on IPR protection. This shows China is almost at par with the rest of the world in terms of IPR legislation. For example, China set up intellectual property courts in Beijing, Shanghai and Guangzhou in 2014. And since 2017, it has established courts for cross-border adjudication of IPR-related cases in 15 cities, including Nanjing, Suzhou, Wuhan, Chengdu and Hangzhou. According to the World Association of Jurists, these developments demonstrate China attaches great importance to judicial protection for IPR. Further, the breakthroughs China has made in the three-in-one trial reform of civil, administrative and criminal IPR cases have further raised the level of the country's specialized and centralized adjudication of IPR-related cases. Compared with Western countries, judicial protection for IPR in China has obvious advantages. Some studies suggest, on average it takes 10 and a half months for a court in China to handle a patent infringement case, compared with more than five years in the United States. Moreover, a patent holder in China usually needs to pay about 21,000 yuan ($3,066) to be guaranteed patent right protection, compared with the millions of dollars some have to pay to enjoy the same protection in the US. Aside from judicial channels, administrative law enforcers in China, from the county to the national level, have established a network for enforcing joint administrative and cross-regional laws, which embodies China's efficient, convenient and low-cost governance advantages when it comes to IPR protection. In recent years, various IPR administrative departments in China have launched dozens of special campaigns to promote IPR protection. In 2017 alone, investigations were launched into 66,649 patent infringement and 30,130 trademark violation cases, effectively cracking down on counterfeits in order to better protect the rights of patent holders both at home and abroad. Besides, China has developed a "one-stop" service model for IPR administrative protection, and established an IPR protection center to expeditiously examine, swiftly confirm and promptly extend rights protection to encourage innovation. So far, 19 such centers have been established nationwide. This year, in a significant move to promote IPR protection, China has set up the State Administration for Market Regulation and re-established the National Intellectual Property Administration because it believes unified management can better protect patents, trademarks and geographical indications. This will further strengthen IPR administrative law enforcement. For customs enforcement of IPR, China uses two-way supervision－both for imports and exports－to prevent IPR infringements in the export sector. In fact, China's customs enforcement is stricter and better than that of most countries, including the US. The remarkable progress China has made in the field of IPR protection using legal, administrative and policy tools has enabled it to establish a relatively comprehensive IPR protection system, which provides strong legal support for domestic and foreign innovators. In an interview with Chinese reporters on the 10th anniversary of the publication of the outline of China's national IPR strategy, WIPO Director General Francis Gurry said that China is committed to establishing a comprehensive IPR legal framework, and an effective IPR administrative and legal protection mechanism. It is therefore clear the figures the US is using to intensify the trade conflict with China are not based on facts. And that's why the US will neither win the support of the international community nor can it prevent China from strengthening the rule of law, including that on IPR protection. The author is professor with the Zhongnan University of Economics and Law.